Last year Lightning In A Bottle sold out for its first time ever, and you can believe that this year, the festival will be sold out again. As a festival that explores the true meaning of community, exploration, musical freedom and creativity, Lightning In A Bottle is truly a magical festival that has attendees leaving inspired. Last year while I prepared for my first trip to Lightning in A Bottle (LIB), I asked LIB vets about what to expect. Each one gave a few tips, but mostly they offered that I should “go with an open mind” for an experience that would “change your life”. Ha-ha, I laughed. Hippies man, right? But here I am, pushing LIB as my favorite festival, ever. And not only that, a life changing experience. I think what makes LIB more than just a rave or concert is that it fully embodies what a ‘music festival’ should be in my mind. It’s a fully encompassing experience for all of your senses, culminating each night with great music to celebrate life to. This year, LIB has a lineup to keep you busy all Memorial weekend long. Let’s start with the music, since that’s probably foremost on your mind. This year’s lineup for three nights includes headliners like Cashmere Cat, Chet Faker and Justin Jay. With three stages for music, attendees will be bouncing from one stage to the next. Each stage has its own unique vibes, including the Woogie stage, which inspired Woogie Weekend (a new festival by The Do Lab that launched in 2015). The Temple of Consciousness is the mecca for LIB. The landing place for learning, the Temple has offerings designed to “activate your body, expand your mind, and open your heart”. The Village is a culture experiment, consisting of multiple micro-environments. It strives to show how community can be established through various organizations and projects with the mission that every single person has an integral and valued role to play. Here you can learn classic ancestral arts such as carving or fire making, as well as hear presentations of traditional stories and prophecies with Indigenous Elders and lineage holders. The Learning Kitchen is an awesome place where you can learn some new culinary techniques to better hone your healthy cooking skills. Samples are definitely available-in case you were wondering. The Grand Artiquebrings us into a little frontier town. With a trading post, live music and more, the little town is a fully immersive place you’ll want to explore. 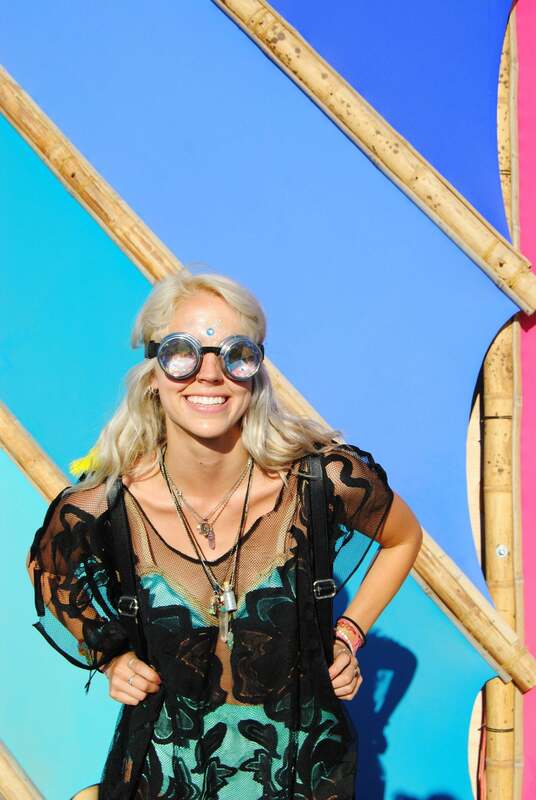 LIB lives and breathes art; from the installations to the Do Art Foundation pieces to the attendees walking around in creative styles. The installations are sometimes larger-than-life sculptures that you might see at Burning Man, or unique experiential pieces where you’ll meet a new friend. The Do Art Foundation is a really cool non-profit that you’ll find at most Do Lab events. Through this program, artists’ works are exhibited while they are created at the festival. Starting from blank canvases on day one, you get to see the transformation to a beautiful piece at the end of the festival. The best part is that Sunday night the one of a kind pieces are auctioned off as a memory you can keep forever. It’s always been really cool at Do Lab events to watch a piece start from nothing, talk to the artist about who they are and what inspires them, and then see the canvas blossom day by day. It is incredibly interactive and such an amazing way to experience art. Hidden throughout the festival are interactive areas to make your LIB experience unforgettable and uniquely yours. Some pop up randomly or are mobile and move around the festival, and some sit in the same spot all weekend. The Jive Joint, Amoris Casino, The Courtyard by Giggle Juice, The Tea Temple, Silent Frisco, and The Grand Artique will be there this year. Each one is uniquely creative and distinct from the next. You’ll want to see each one! Let me tell you, the food at LIB is hands down the best I’ve had at a festival. With so many options in the Marketplace, you’re going to be eating yummy dishes each day that will fuel you for the weekend. The Marketplace at LIB is a haven for health foodies, where the wide variety of diets they cover includes vegetarian, raw, organic and non-GMO. As far as booze, there are many great bars around the festival for those of you over 21. Last year, New Belgium Brewery even concocted their own LIB Ale, which I’m secretly hoping makes an appearance again, because it was delicious! LIB isn’t joking around with their green initiatives. Lead by example, right? Well, LIB does it’s best to conserve energy out in Bradley, CA by investing in LED stage lighting as much as possible, using compact fluorescent bulbs and solar lights in other areas as possible. As you walk around the festival you’ll see all garbage sorted into three bins: Landfill, Compost or Recycle. Solar cell phone recharging stations are available for attendees to use. Seeing these things all over the festival hopefully provoke thoughts of little changes you can make in your life when you leave the festival to create a more sustainable world. A lineup of environmental workshops focus on easy, low cost, DIY ways people can lower resource use and learn to grown their own food and even make their own resources. 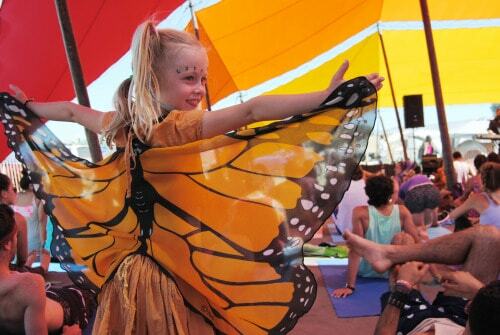 And don’t be surprised if you see kids running around the festival, LIB has a big emphasis on children as the future leaders of the planet, offering educational programs for them too! 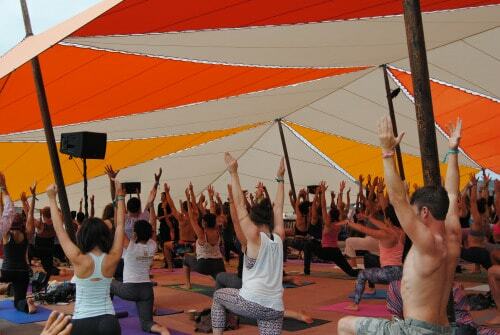 Buy your tickets early, organize your crew (carpool) and get ready for another amazing year at Lightning in A Bottle!